India's "unique security ties" with Russia remain unaffected by the growing Indo-US relationship, highly placed sources said here ahead of President Russian President Vladimir Putin's visit to this country. The strategic ties with Russia have been "persistent, continuous and critical" element of India's foreign policy policy, the sources said. Putin will arrive in India in mid-October for the five- nation BRICS (Brazil-Russia-India-China-South Africa) Summit to be held in Goa as well as annual Indo-Russia bilateral Summit with Prime Minister Narendra Modi. While admitting that Indo-Russia ties in the area of trade and economy have not remained the same, the sources said the effort during the upcoming bilateral Summit would be to bring the relationship "back on track". cooperation was undergoing a change as India not only was procuring defence equipment off the shelf, but was also inviting Russians to take part in 'make in India' defence joint ventures. In this regard, they cited the recent agreement on the manufacture of 200 Russian Kamov 226 T light choppers in India. The deal is estimated to be USD one billion under the 'make in India' initiative. The sources also brought out importance of regional consultations with Russia such as on Afghanistan. Both India and Russia know that the bilateral ties were "vital" for balance in Asia-Pacific region, they said. They also warned that Indo-Russia ties should not be reduced to the "litmus test" of Russia-Pakistan relationship. critical components of the bilateral ties including military technology cooperation, energy and civil nuclear sector, India was also keen to explore the new areas of collaboration such as infrastructure and railways, the sources said. Talking about robust ties in the diamond sector, they said there were areas like agriculture, food processing, mining and ship building where Russians have strong expertise which could be used by India. This will also give a boost to bilateral commercial ties. Bilateral trade in 2015 amounted to USD 7.83 billion (decline of 17.74 per cent over the previous year), with Indian export amounting to USD 2.26 billion and imports from Russia USD 5.57 billion. In December 2014, the leaders of the two countries set a target of USD 30 billion bilateral trade by 2025. Russia and India joint military exercises will take place in the Russian Far East in late September - early October. China Border on September 14-27 NEW DELHI (Sputnik) — Joint military exercises between Russia and India, dubbed Indra-2016, will take place in the Russian Far East in late September — early October, a source in the Indian Defense Ministry told RIA Novosti Wednesday. "The drills are scheduled to be conducted on September 22 — October 2. Each side will have be represented by 250 servicemen," the source said.. The exercises will take place on the territory of the Russian Eastern Military District. The first Indra drills were held in 2003. They serve to facilitate cooperation and foster the exchange of relevant experience between the Indian and Russian armed forces. Despite growing trade and political ties with the US, India continues to accord top priority to its unique relationship with Russia. New Delhi (Sputnik) — Putting all speculation to rest, it is now confirmed that India considers Russia its most reliable friend. One of the most senior diplomats in India’s External Affairs Ministry has asserted that despite India’s growing cooperation with the US on many global agendas, Russia remains the one friend that India believes will be the first to respond to a crisis call. India’s Ministry of External Affairs is currently preparing for a crucial diplomatic summit between Prime Minister Narendra Modi and Russian President Vladimir Putin to be held in Goa in India’s south next month on the sidelines of the BRICS summit. This statement holds immense significance as it comes amid fledgling closeness between Russia and India’s foremost adversary Pakistan. The two countries plan to hold a joint military exercise soon. Moreover, Pakistan has displayed keen interest in purchasing the Su-35 combat aircraft from Russia, a move which troubles India. Moscow’s ties with Beijing have also been a matter of concern for India. However, the unparalleled history of mutual trust remains unhindered by individual aspirations. During the Kargil War in 1999 with Pakistan when Indian forces ran out of arms and ammunition, Russia supplied India's stocks upon a single request from India, said a source. Moscow expresses concern that base was attacked from Pakistani territory. The Russian Foreign Ministry has strongly condemned the September 18 attack on an army base in Uri, India, which claimed the lives of 18 Indian soldiers. “We strongly condemn the terrorist attack against an army base in Jammu and Kashmir’s Uri in the early hours of September 18, which killed 17 and injured 30 service personnel. We offer our condolences to the families of the victims and wish a rapid recovery to all those injured,” the Russian Foreign Ministry said in a statement. Will Russia-Pakistan joint drill alter Moscow-Delhi ties? NEW DELHI: This week India-Russia relationship moved from being 'special' to regular. As Russian troops landed in Pakistan for a two-week counter-terrorism joint exercise+ , the 'degree of separation' of the original strategic partners only increased, coming as it did in less than a week after the Uri terror strike. Even though India and Russia are also engaged in counter-terrorism exercises in Vladivostok (for the eighth year running), watching Russian troops land in Pakistan is a new experience in the region. In another couple of weeks, India will host Russian President Vladimir Putin for the annual summit when India and Russia will struggle yet again to put economic ballast into their strategic partnership. After years of trying to get the private sector to invest, the government has got into the act - OVL has invested in Rosneft; Indian pharmaceutical companies are making in Russia; Indian companies are buying diamonds directly from Russia instead of a third country; and civil nuclear cooperation is on a roll. Russia is central to India's foreign policy goals and to the balance of power in Asia. "The challenge for us is to keep the India-Russia relationship+ stable in a loosening great power universe," a source said. Russia remains India's top defence supplier, but Indian officials confirmed they have asked Moscow to make a choice between Pakistan and India. It's a red line that Moscow has breached and things may never be the same again. However, Russia's opening to Pakistan was inevitable. Indian analysts believe it is a subset of the biggest pivot in recent times: Russia's evolving relationship with China. Many would say it is a reaction to India's US gambit, but that would be too simplistic, because after the Cold War and until the sanctions, Russia had itself opened up to the US. The Russian pivot to China is now virtually complete. With lowering oil prices, sharply contracting economy and strained ties with Europe and the US, Russia, India believes, was pushed towards China. Their history has not been great and Russia retains some suspicion about China, but the current terms of engagement are dramatically different, because Russia is now sharing technologies etc with China it would never have dreamed of earlier. That could pose problem for India going forward. India's opening to the US, Israel and Europe for weapons was a statement of strategic importance and both Russia and China took lessons from it. China is still under an EU arms embargo and neither the US nor Israel will sell the big toys to Beijing. Hence, Russia and China's burgeoning defence and tech relationship was natural. Except Russia is no longer the power it was and China is a superpower at the gate, a reality that determines who dominates that relationship. It was only natural Russia would open up to Pakistan, China's closest ally at present. Last week Russian and Chinese navies conducted drills+ in South China Sea+ , where Russia has taken China's side. This is a function largely of Russia's worsening ties with the US+ . In Afghanistan, Russia believes IS is the real threat, not the Taliban, something Pakistan is at pains to push. Pinto wrote: NEW DELHI: This week India-Russia relationship moved from being 'special' to regular. As Russian troops landed in Pakistan for a two-week counter-terrorism joint exercise+ , the 'degree of separation' of the original strategic partners only increased, coming as it did in less than a week after the Uri terror strike. Indians are a strange bunch, you expect Russia not to have strategic ties with China, but you guys make all kinds of ties with U.S., you expect Russia to not have military ties with Pakistan, but then India goes out to make substantial military ties with Ukraine. If there was any deterioration of strategic ties, it was mostly on the Indian side....FFS who decided to cut such mega-deals with Ukraine? It is no exaggeration to state that Russia—previously, the Soviet Union—has been India’s most reliable partner post-Independence. But a gradual shift has been underway for the past few years. Russia’s decision to send a mechanized infantry unit of its southern military command for joint military exercises with Pakistani troops is part of the shift. The Russians were clever to time it with the India-Russia joint military exercises in Ussuriysk district. But then the Uri attack happened and reports started trickling in that Russia had cancelled its joint military exercise with Pakistan. Given the weight of history, this development was not surprising. Except that it was untrue. Not only did Russia go ahead with the exercises but the state-run news agency TASS even reported that the opening ceremony would be held at an army school in Rattu in Gilgit-Baltistan. Given the disputed status of that territory and the recent war of words between India and Pakistan on the same, this was a red line crossed as far as New Delhi was concerned. Quickly realizing the diplomatic quicksand they had entered, the Russians took corrective measures. TASS removed the details of Gilgit-Baltistan locations from its website and the Russian embassy in New Delhi issued a clarification that the sole venue of military exercises in Pakistan is Cherat. All other reports, the embassy said, were “erroneous and mischievous”. What explains the Russian desire to strengthen ties with Pakistan but without infuriating New Delhi? A part of the answer lies in the growing strategic and defence partnership between New Delhi and Washington. According to the Stockholm International Peace Research Institute (Sipri), the share of the US in Indian arms imports has climbed from 0.18% in 1995-2000 to 13.78% in 2011-15. The surge in arms imports from Israel started even earlier but that too with the US in the loop. The decline in the share of Russian imports is not too great: It decreased from 76.52% during 2006-10 to 70.44% during 2011-15 but it remains roughly similar to the share of 71% during 1995-2000. However, with India being called a “major defence partner” of the US, the Russians see the writing on the wall. With low commodity prices and Western sanctions following Moscow’s annexation of Crimea, the Russian economy is under tremendous pressure. The desire to diversify its arms market is natural. In June 2014, it lifted an arms embargo on Pakistan and the two countries signed a military cooperation agreement a few months later. Earlier this year, Russia agreed to sell four Mi-35 attack helicopters to Pakistan. Su-35 fighter jets may be next in line. But the diversification is easier said than done. Moscow fears that overplaying the Pakistan card may accelerate the Americanization of Indian defence supplies. With a sharp contraction in Chinese purchases, the Russian defence industry is today over-reliant on India. The Indian share in Russian arms exports has increased, according to Sipri data, from 23.36% in 1995-2000 to 39.09% during 2011-15. To round off the complicated picture of Russian arms deals in South Asia, India has recently sold, with Moscow’s nod, four Russian origin Mi-25 attack helicopters to Afghanistan to fight the Pakistan-backed Taliban. India also has an arrangement with Russia to pay for the arms and equipment the latter sells to Afghanistan. It is not just Russia which is attempting a tightrope walk. India too has taken positions on Crimea and Syria which are more in line with Moscow’s thinking than Washington’s. New Delhi believes the West’s rigid stance vis-à-vis Russia has only achieved a closer Moscow-Beijing embrace. It has also increased the probability of a Moscow-Beijing-Rawalpindi axis evolving. The India-Russia relationship has had its hiccups. The high point was clearly the bilateral treaty of 1971 which helped India’s offensive in East Pakistan. But in 1962, Soviet premier Nikita Khrushchev delayed the transfer of MiG-21 aircraft till the border war between India and China had ended. In an attempt to repair Sino-Soviet mistrust, Khrushchev told Chinese ambassador Liu Xiao that the Chinese were USSR’s “brothers” while Indians merely “friends”. Khrushchev assured Liu that there was no question of Soviet neutrality between India and China. The other major disappointment came when the Soviet Union decided to broker peace between India and Pakistan in the 1965 war. India had to cede all its wartime gains under Soviet pressure at Tashkent. As K. Shankar Bajpai wrote in The Indian Express last September, the threat of withdrawal of the Soviet veto in the UN security council (UNSC) did the trick. In more recent years, Russia has indeed supported New Delhi’s entry into the UNSC. But its attitude towards the expansion of the council—and hence towards Indian entry—has been found wanting. It obviously helps Russia if its largest arms purchaser remains dependent on it for support inside the security council. The Cherat and Ussuriysk exercises and the mess that came with them should be seen in the historical perspective of the India-Russia bilateral relationship and the current flux in the arms market. This mess happened because India-Russia cooperation has hardly gone beyond defence. The bilateral trade in 2015 was a measly $7.83 billion. The India-US relationship encompasses a far greater number of areas and bilateral trade in 2015 was more than $132 billion. Clearly, a different world is evolving and so is the new normal of India-Russia ties. The Indian government has approved another high value acquisition in Russian oil and gas fields. New Delhi (Sputnik) – In a race to acquire more energy assets in Russia, India swiftly finalized the deal. “The government approved a Consortium comprising Oil India Limited (OIL), Indian Oil Corporation Limited (IOCL) and Bharat Petro Resources Limited (BPRL) for acquiring a 23.9 percent stake in JSC Vankorneft and 29.9 percent stake in LLC Taas-Yuryakh from M/s Rosneft Oil Company. The Consortium will be paying USD 2020.35 million for acquiring stakes in Vankorneft and USD 1242 million for acquiring stakes in Taas-Yuryakh,” a statement released by the Indian government read. Indian Consortium will receive 6.56 million metric ton oil from Vankorneft while 1.5 Million Metric Ton oil would be received from Taas-Yuryakh by 2019. Russian Oil major Rosneft operates Vankor and Tass-Yuryakh fields and are its wholly owned subsidiaries. The government stated that the acquisition is in line with India’s stated objective of adding high quality international assets to its Exploration & Production portfolio and thereby augmenting India's energy security. Earlier in May 2016 ONGC Videsh Ltd (OVL) completed the formalities of acquiring a 15% stake in Vankorneft at the cost of USD 1.284 billion. Earlier, Sputnik had reported that ONGC Videsh Ltd is exploring the opportunity to acquire a 49% stake in Rosneft's Tagul field. According to sources, the deal is likely to be around USD 1 billion, though nothing has been officially penned down yet. Since Tagul field is yet not operational, OVL will have to share the cost of making the field ready for production. India no longer needs Russia to come to its defence, but in any future war it would expect Moscow to ensure the smooth supply of weapons and spares. International support can be a multiplier in any conflict. In the 1971 War, Russian support was a critical factor that allowed India to wrap up a quick and decisive victory. Moscow kept the western and Chinese hounds out of the fight so that the Indian military could do its job without worrying about a second or third front. On December 3, the Pakistan Air Force recklessly attacked 11 Indian airfields. India officially declared war, launching retaliatory air strikes deep into Pakistan. As Indian armour scythed through Pakistan’s defences – both in its eastern and western halves – the world quickly took sides. While Russia and its allies had India’s back, the western powers and India’s Non-Aligned Movement (NAM) buddies tilted against India. On December 4, then US ambassador to the United Nations George H. Bush – who would later become US President – introduced a resolution in the UN Security Council calling for a ceasefire and the withdrawal of the armed forces by India and Pakistan. Since only Indian forces were inside Pakistan, the move was meant to pressure India. The resolution – which was backed by 104 countries – was vetoed by Russia. Only 10 countries stood by India. India’s sweeping victories on the battlefield unnerved the West, which didn’t want its ally Pakistan to be humiliated. The US sought to force a ceasefire by sponsoring two more United Nations resolutions that censured India. However, Moscow used its veto to block all anti-India resolutions. The Indian leadership was so sure of Russian diplomatic and military support that it did not panic even when US President Richard Nixon sent the US Seventh Fleet sailing up the Bay of Bengal in a move widely seen as threatening Indian cities with nuclear bombing. The Prime Minister’s nonchalance was due to the Indo-Soviet Treaty of Peace, Friendship and Cooperation that India and Russia had inked a few months earlier. The agreement had a secret clause which made it mandatory for Russia to intervene on India’s side if it was attacked. Indira Gandhi knew that if the Americans or the Chinese attacked, the Russians would intervene. Russian divisions on the border across China’s Sinkiang province were on standby with nuclear artillery. “Mr President, I am not a rat. I've never ratted in my life. I have faced assassination attempts, I've faced imprisonment. Today I am not ratting, but I am leaving your Security Council. “I find it disgraceful to my person and to my country to remain here a moment longer. Impose any decision, have a treaty worse than Versailles, legalise aggression, legalise occupation – I will not be a party to it. We will fight. My country harkens for me. The Russian vetoes clearly helped India block the barrage of international criticism that came its way. However, that was in 1971 when Moscow and New Delhi had common opponents in the West and China. Almost a half century later, the situation has taken a dramatic about turn with Russia and China now ‘semi-allies’ and India burying the hatchet with the US. The good news for both countries is that India no longer needs a Russian veto. India has given up its NAM (pipe) dream and is internationally respected for its economic success story. In any future war, it is unlikely to find itself the target of UN resolutions. Plus, the world knows Pakistan exports terror so except for some Arab countries, India won't face much external pressure. Another major difference is that unlike in 1971, India is today a militarily powerful country and doesn’t need the protection of a Russian naval fleet. Although it may not be able to sustain a two-front war, India can easily steamroll Pakistan. However, it should not be forgotten that even as the US foreign policy apparatus (the State Department) is making a big show of support for India, the Defence Department is more honest and open. It continues to be Pakistan’s patron, and the Pentagon generals will not let the US abandon one of the world’s most strategically located countries. Pakistan’s army chief Raheel Sharief was seen in the company of US Secretary of State John Kerry this week. In a future war, all that India expects of Russia is to make sure the parts pipeline doesn’t slow down. Over 70 per cent of India’s military equipment is of Russian origin and a steady supply of parts would be the least New Delhi expects. It was the tremendous success of Indian Air Force MiG-21s against the PAF’s latest American-built F-104 Starfighter that led to a huge order for the MiG-21 from the Iraqi Air Force. Unlike other customers, India has used Russian weapons with devastating effect in a number of conflicts. So it is clearly in Russia’s interests to see India wage war successfully. There is no better marketing for weapons than a real war. If Russia throws its military helmet into the ring, India would welcome such direct support. However, if it merely keeps the weapons and spares highway open, it would serve India’s purpose too. After India’s surgical strikes along the LoC, Moscow expressed concern “with aggravation of situation along the line of control” and called on “parties not to allow any escalation of tension”. This stood in sharp contrast to Russia’s reaction to the 2008 terror strikes, where it supported “resolute actions of the Indian government to cut short terrorist actions”. The statements capture the changing nature of India-Russia ties, also reflected in Moscow’s military relationship with Pakistan. Back in 1967, following the Tashkent Agreement, Moscow had decided to sell military armaments to Pakistan. But Indira Gandhi objected, and the USSR, considering its special relationship with India, withdrew the proposal. The understanding continued into the 21st century — President Vladimir Putin said in Delhi in March 2010 that “unlike many other countries, Russia does not have any military cooperation with Pakistan because we bear in mind the concerns of our Indian friends”. But by August 2015, the situation had changed, with Pakistan signing a deal with Russia for four Mi-35M attack helicopters. The Pakistani army, navy, and air force chiefs have all visited Russia in the past 15 months. The countries are conducting a 2-week-long military exercise in Pakistan, the first in their history. Reports that Moscow had decided to cancel the exercises following the Uri terror turned out to be incorrect. News about the ongoing exercise has been scarce, with no mention of the location of the joint military drill. New Delhi believes that Russia’s relationship with Pakistan would not come at the cost of Moscow’s dealings with India. But what complicates matters is the excessive Indian dependence on Moscow for the upkeep of military hardware and transfer of high-end military technologies. Experts estimate that nearly 65% of the current inventory in the three Services is of Soviet or Russian origin. The serviceability state of some of these platforms has been abysmally low because of the poor availability of spares from Russia. Take the case of the Sukhoi Su-30 MKIs, the mainstay of the IAF, which will have 272 Russian fighters in service by the turn of the decade. The serviceability of Sukhoi aircraft was around 46% 2 years ago, and has crossed 50% this year with great difficulty. This means that half the IAF’s Sukhoi fleet is grounded at any given time. Despite intervention at high levels, South Block has not been able to find a way to secure a regular supply of spares in India. Attempts to encourage Indian companies to manufacture spares have failed because of strict Russian conditions. The situation with the MiG-29K naval fighters is no different. In July, the CAG pointed out that the serviceability of the Navy’s warplanes ranged from 21.30% to 47.14% — not even half the fighters were fit to fly. These 2 MiG-29K squadrons were part of Moscow’s package to transfer the aircraft carrier Admiral Gorshkov, now INS Vikramaditya, India’s sole aircraft carrier. India’s only nuclear submarine, INS Chakra, is leased from Russia, while negotiations for leasing another Akula class nuclear submarine are in the final stages. No country other than Russia would have provided India with such critical technology. India is now in the process of building its own nuclear submarines, and reports suggest a reasonable degree of Russian cooperation on the project. Informed sources, however, say the second and third n-submarines are 70% and nearly 90% indigenous respectively. But even as India increases its indigenous defence production capacity and diversifies its procurement sources, the military’s dependence on Russia for some critical technologies still remains. Many government officials assert that the geostrategic moves by Moscow — whether of joint drills with Pakistan or naval exercises with China in the South China Sea — will not alter the transactional nature of its defence relationship with New Delhi. Pakistan will never be able to match India’s deep pockets to buy Russian defence equipment, and for that reason alone, Moscow will continue to court India. Russia on Monday came out in support of India’s “surgical strikes” along the line of control (LoC), saying every country has the right to defend itself, the first P-5 country to back New Delhi openly. “Greatest human rights violations take place when terrorists attack military installations and attack peaceful civilians in India. We welcome the surgical strike. Every country has right to defend itself,” Russian ambassador to India Alexander M Kadakin said. Russia was the only country to say in plain words that terrorists came from Pakistan, Kadakin said, asking Islamabad to put an end to cross-border terror. The Russian ambassador made the comments in an interview to CNN News 18. Indian soldiers in an early morning raid on September 29 had struck militants who were planning to infiltrate into India from Pakistan-Occupied Kashmir. The lightning strikes were in response to an attack on an army base in Uri in northern Kashmir that left 19 soldiers dead. The other four permanent members of the UN security council – the US, the UK, China and France -- have chosen not to mention the surgical strikes, which Pakistan says was nothing but cross-border firing. Russia is the first major world power to use the term “surgical strike”. In the neighbourhood, Afghanistan and Bangladesh, too, have backed India and were the first to join Delhi in opting out of the South Asian Association for Regional Cooperationsummit that Pakistan was to host in November. Kadakin also tried to allay Indian concerns over the Russia-Pakistan military exercise, the first war games between the two countries. He said the exercise didn’t take place in “Pakistan-Occupied Indian state of Jammu and Kashmir”. “India should not be concerned about military exercises between Russia and Pakistan because the theme of the exercise is anti-terror fighting”, he said. The exercise was in India’s interest as “we teach Pakistani army not to use itself for terror attacks against India”, the envoy said. “And the exercise was not held in any sensitive or problematic territories like Pakistan-occupied Indian state of Jammu and Kashmir”, the Russian diplomat said. The Russian Foreign Ministry said that the Russian First Deputy Foreign Minister and the Indian Foreign Secretary had discussed bilateral ties and the upcoming meeting between the Russian president and the Indian prime minister. MOSCOW (Sputnik) – Russian First Deputy Foreign Minister Vladimir Titov and Indian Foreign Secretary Subrahmanyam Jaishankar discussed bilateral ties and the upcoming meeting between the Russian president and the Indian prime minister, the Russian Foreign Ministry said in a press release on Saturday. "On October 7, in New Delhi, a round of consultations between Russian First Deputy Foreign Minister Vladimir Titov and Indian Foreign Secretary Subrahmanyam Jaishankar took place. A wide range of issues in Russian-Indian strategic partnership was discussed with an emphasis on the preparations for the upcoming contacts between Russian President Vladimir Putin and Indian Prime Minister Narendra Modi under the framework of the bilateral summit on October 15 in Goa," the press release read. The two diplomats reportedly welcomed the positive dynamics in key joint projects in various fields and reiterated mutual intention to further expand mutually beneficial multifaceted cooperation, strengthening the legal base of relations. Russia and India also reaffirmed their commitment to building a just and democratic multi-polar world order based on the rule of international law and cooperation under the framework of the United Nations, G20, BRICS and the Shanghai Cooperation Organization (SCO). NEW DELHI: Cooperation in key areas of security, defence and trade will be discussed when Prime Minister Narendra Modi and Russian President Vladimir Putinhold talks on Saturday after which the two sides are expected to conclude "important bilateral agreements". Announcing Putin's four-day visit to Goa from October 14 to 17, external affairs ministry said besides attending BRICS Summit on Sunday, he would also hold 17th Indo-Russia Annual Summit where the leaders will review the entire gamut of bilateral ties including the progress made since their last Summit meeting in Moscow in December 2015. "Important bilateral agreements are expected to be concluded and a joint statement released at the end of the Summit," the ministry said. It also comes at a time when India is undertaking large-scale defence modernisation programme involving replacing old Russian equipment with modern ones from the country itself and from other nations. Besides discussions to boost cooperation in crucial areas of defence, security and trade, the two leaders will exchange views on regional and international issues. Some of the most important defence deals currently under discussion are purchase of 5 S-400 'Triumf' long-range air defence missile systems, Kamov-28 helicopters and upgradation of the Sukhoi 30-MKIs. India is also looking at leasing an Akula-class nuclear submarine from Russia. The ministry said given that the year 2017 marks the 70th anniversary of the establishment of diplomatic relations between the two countries, a number of commemorative celebrations are planned. NEW DELHI: In the backdrop of Russia holding an unprecedented joint military drill with Pakistan, Prime Minister Narendra Modi will meet President Vladimir Putin to take stock of Indo-Russian bilateral ties ahead of the BRICS Summit. President Putin will reach Goa on October 14th where he will participate in the 17th India-Russia Annual Summit with Prime Minister Modi. These are interesting times, with Russia recalibrating its strategic relations with the two nuclear armed neighbours in the Indian subcontinent. The rebalancing has followed New Delhi’s growing proximity with Washington to diversify its weapons and military suppliers. In such times the former Cold War rivals - Russia and Pakistan - held the wargames very aptly codenamed “Friendship-2016”. For India the only saving grace was that the exercise did not take place in the Pakistan-Occupied Kashmir as planned. Later on Moscow did condemned the Uri Attack on an Army Cantonment and exhorted Islamabad to do more to contain terrorism emanating from its territory. “At the bilateral Summit in Goa on 15 October 2016, the leaders are expected to review the entire gamut of India-Russia bilateral relations and review the progress made since the last summit held in Moscow in December 2015,” a Ministry of External Affairs’ statement said. Despite India looking at arm suppliers from other countries many deals with its arch-patron Russia are also on the negotiation table. Some of the most important defence deals are purchase of 5 S-400 ‘Triumf’ long-range air defence missile systems, Kamov-28 helicopters and upgradation of the Sukhoi 30-MKIs. Another project under focus would be the long pending joint development of the fifth generation fighter aircraft (FGFA). India is also keen to lease another Akula-class nuclear submarine from Russia. The two leaders are expected to discuss the current situation in the Middle East, as India is likely to propose a BRICS fund for the reconstruction of war-ravaged Syria at the BRICS Summit in Goa to be held on October 15-16. The proposal is significant as Russia has been playing an active role in the conflict by fighting on the side of the Syrian President Bashar-al Assad and Indian position has also been perched in favour of the incumbent Syrian establishment as it has been advocating against foreign intervention in the country. Other BRICS member countries do not have immediate stake in the Syrian conflict and; India and Russia would want to coordinate with each other on this. It was in August that India in a major outreach to the conflict-ridden country, sent Minister of State for External Affairs MJ Akbar to meet President Assad.The “objective” position of India was not lost on President Assad, who asked New Delhi to play a greater role in the reconstruction of the war-torn country. NEW DELHI: India is working on a new strategy for manufacturing defence products that envisions reducing exclusive dependence on any of its key partners including Russia, the United States, France and Israel while procuring the technical know-how, a measure that will give impetus to the Narendra Modi government’s Make in India programme. This is part of a comprehensive two-pronged vision for the country’s defence sector over the next 15 years that the government’s premier think tank NITI Aayog is working on, a senior government official told ET. “On the one hand India will push for change in collaboration strategy with our key defence suppliers so that nothing remains exclusive to one partner and India gets the know-how,” the official said on condition of anonymity. “On the other hand we will be working towards strengthening our own defence research and development system to match the international standards,” he said. The 15-year vision document, which has replaced the Five-Year Plans of the Nehruvian era, will for the first time outline the roadmap for country’s defence sector as well as internal security, two strategic sectors which were out of the purview of the Five-Year Plans. Russia remains the largest supplier of military equipment to India, followed by the US, France and Israel a distant fourth. As per the defence ministry, India signed defence deals worth over $5 billion with Russia in the past three years and the US came a close second with deals of about $4.4 billion. Between 2012-13 and 2014-15, India entered into 162 arms contracts, of which 67 were with other countries including Russia (18), the US (13) and France (six). Focus on export orientation: Export orientation would be the key. Non-exclusive segments for our defence partners make ample sense as it would boost competitiveness among the vendors, and we would be in a position to choose the most suitable JV partners. However, the military-industrial complex planned surely needs to be export-oriented and globally competitive. Otherwise, there’s the real danger that the Make in India policy for defence hardware and equipment would lead to high costs, indifferent standards and huge attendant shortcomings of domestic focus akin to the days of pre-reform and autarky. An Indian consortium led by Oil India is in talks with Rosneft to acquire a 49% stake in Vankor Cluster assets. The Vankor Cluster comprises the Suzunskoye, Tagulskoye and Lodochnoye oilfields. All the fields have gas reserves of approximately 415 million tons. The deal is expected to be worth more than USD 2 billion. Sources say that deal will include some under-developed fields as well. 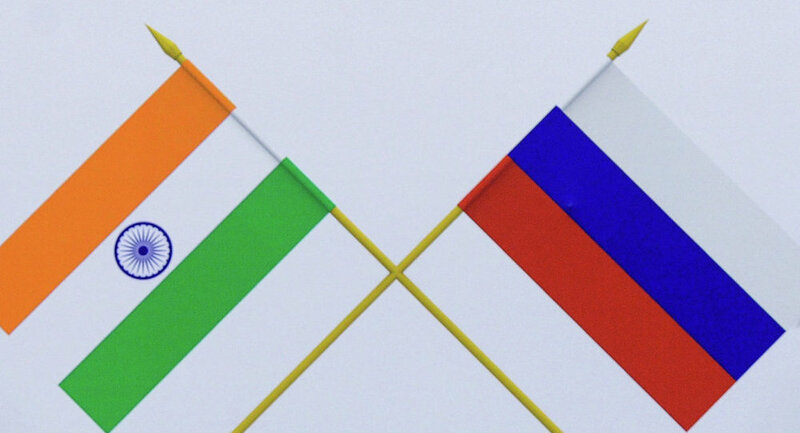 NEW DELHI: In what could help ease the heartburn caused by the Russia-Pakistan military exercise, India is making a major Russia push by lining up as many as 30 collaboration proposals to be taken up at the Indo-Russian annual summit in Goa on Saturday. These projects will cover areas ranging from additional nuclear reactors and fifthgeneration fighter aircraft to satellite navigation and investment in the hydrocarbon sector. Russian President Vladimir Putin will be in India from October 14 to 17, his longest stay here in recent times, to attend the 17th edition of the Indo-Russian summit and the 8th BRICS summit with a team that includes eight ministers. Putin and Prime Minister Narendra Modi will release a joint document on global peace and stability besides a separate paper listing three dozen activities planned in 2017 to mark the 70th year of the establishment of diplomatic relations between the two countries. The Goa meeting, said people familiar with Indo-Russian partnership, could lead to significant outcomes and big headlines. Notwithstanding Russian argument of having minimum engagement with Pakistan to fight terror in the Eurasian region, Modi will express concern when he meets Putin over the military exercise in Cherat as India seeks to build a narrative against Pak-sponsored terror. Delhi and Moscow will seek to expand their counter-terror partnership and sign cyber security pact in Goa, officials said. Both sides are also hoping to extend their collaboration in Afghanistan with Delhi seeking Moscow’s assistance to supply military equipment. Despite going ahead with the war games with Pakistan, Moscow has taken steps to back India’s position — it supported the surgical strikes on terrorists in Pakistan Occupied Kashmir, cancelled joint exercises in Azad Kashmir and earlier virtually blamed Pakistan for the Uri terror attack. Even as negotiations are still going on, the highlight of this edition of the Indo-Russian summit could be an agreement on the fifth and sixth reactors (1,000 MW each) for the Kudankulam Nuclear Power Project in Tamil Nadu. India is expected to announce a second site for Russian-built nuclear power plants comprising six reactors, likely in Andhra Pradesh, even as Russia plans to sell as many as 25 reactors to India. Some reports suggest that Modi and Putin could jointly dedicate the second unit at Kudankulam through videoconferencing from Goa. India views Russia as a hard power which could assist it in key strategic sectors. Besides nuclear energy, a number of defencerelated pacts are in the pipeline as Moscow hopes to continue as India’s preeminent defence supplier. Besides agreements for fifth-generation fighter jets and Kamov helicopters (to be produced in India), the two sides could agree to modify the jointly developed Brahmos supersonic missiles, besides building frigates for the Indian Navy and supply an air defence system. Russia will also be urged to continue supply of ammunition for the Indian Army. India’s second biggest private refiner could soon come under the control of Russian energy firm Rosneft. The US was not in favor of the deal citing sanctions against Russian firm. New Delhi (Sputnik) — Roadblocks have been cleared for one of the biggest investments of any Russian firm in India — the Rosneft-Essar oil deal. The deal is estimated to be worth $12 billion. Sources indicate that Russian companies and Essar Oil are expected to announce the acquisition after the India-Russia Annual Summit in Goa. According to the agreement, Rosneft will acquire 49 percent stake in Essar Oil, while, Dutch commodities trading partner Trafigura and Russian fund United Capital Partner will share another 49 percent equally between them. Pumped Up! India Gets Ready for Arrival of BP and Rosneft to the High Street This would be a landmark deal for future economic cooperation between the two ‘unique time-tested friends’ — India and Russia — even as the US threatened to derail the deal citing a two-year-old sanction it had imposed on Rosneft. However, sensing the US sanction might come in the way of deal, Essar had reduced the share intended for sale by 25%. “With this deal, Rosneft would secure demand for its crude oil. The deal would open up India's petrol, diesel, air turbine fuel and other petroleum products market for Roseneft. This means a lot for the Russian company since India is the fastest growing oil market in the world," Taneja said. Rosneft is expected to enter the Indian retail market with 2,000 retail outlets currently owned by Essar. India and Russia are looking into ways to improve transport links between the two countries in order to boost trade and economic cooperation, Indian Ambassador to Russia Pankaj Saran said Friday. "We are also looking at the importance of improving connectivity between India and Russia because this has proved to be obstacle in the growth of our trade and economic partnership." he BRICS Business Council will also meet on the sidelines of the summit of the five-nation BRICS, which will take place on Saturday and Sunday and will be visited by the Russian president. The council will discuss ways to spur intra-BRICS economic cooperation. Russia and India are looking for new ways to cooperate in the energy, infrastructure, rail, agriculture and high-tech sectors, the ambassador added. "I would say that today, the India of today and the Russia of today are more ambitious than they have ever been in the past about finding new areas and moving forward," Saran said. The BRICS Business Council is a platform which serves to promote business, trade and investment ties between the BRICS member states. It was established in 2013 during the Fifth BRICS Summit in South Africa. BRICS is an association of five economies, which comprise over one third of the world’s population. BRICS member states, China, Russia, Brazil, India and South Africa, have a combined nominal GDP equivalent to approximately 20 percent of the gross world product. Russia's state-controlled oil giant Rosneft+ and its partners on Saturday took over India's second biggest private oil firm Essar Oil+ in an all-cash deal valued at about $13 billion. Rosneft bought a 49 per cent stake in Essar Oil+ 's refinery port and petrol pumps, while Netherlands-based Trafigura Group Pte, one of the world's biggest commodity trading companies, and Russian investment fund United Capital Partners split another 49 per cent equity equally. The remaining 2 per cent is held by minority shareholders after delisting of Essar Oil. The deal has an enterprise value of close to $13 billion+ , which includes Essar Oil's debt of $4.5 billion and about $2 billion debt with the port company and power plant. Also, the near $3 billion dues to Iran for past oil purchases will continue to be on Essar Oil books. Essar Oil, part of a steel-to-ports conglomerate controlled by the billionaire Ruia brothers, operates a 405,000-barrels-a-day refinery at Vadinar in Gujarat. The refining complex also has a captive power plant as well as a port and terminal facilities. Essar Oil said it has signed two agreements for the sale. "The first sale and purchase agreement envisages the sale of 49% to Petrol Complex Pte Ltd (a subsidiary of PJSC Rosneft Oil Company); the second envisages the sale of the remaining 49 per cent to Kesani Enterprises Company Limited (owned by a consortium led by Trafigura and United Capital Partners) at an enterprise valuation of Rs 72,800 crore ($10.9 billion). The deal would help the Essar Group, one of India's largest and most indebted conglomerates, trim its about Rs 88,000 crore (over $13 billion) debt and ward off creditor pressure. The deal was announced as Indian Prime Minister Narendra Modi met Russian President Vladimir Putin during a meeting of the leaders of the BRICS countries here. The deal is the single largest foreign investment in the Indian refining sector and will strengthen the ties between the world's largest oil producer and the world's fastest growing fuel consumer. The acquisition is the biggest foreign acquisition ever in India and Russia's largest outbound deal. India and Russia signed billions of dollars of defence and energy deals on Saturday at a summit that sought to inject new life into a relationship that has been tested by shifting global alliances and conflict in the Middle East. Under the biggest agreement, a group led by Russian state oil major Rosneft said it would pay $12.9 billion for a controlling stake in both India's Essar Oil and port facilities that it owns. The countries, which had strong ties during the Cold War, announced plans for a joint venture to build helicopters in India. New Delhi said it would also buy surface-to-air missile systems and stealth frigates from Moscow. "Ours is a truly unique and privileged relationship," Indian Prime Minister Narendra Modi said after talks with Russian President Vladimir Putin in the western seaside state of Goa. Modi said that his views were aligned with Putin's on the unstable situation in Afghanistan and the Middle East, where Moscow is at odds with the West in the five-year-old civil war in Syria that has killed hundreds of thousands. "We are conducting a comprehensive dialog on a wide scale of international issues, in which Indian and Russian approaches are close to each other or coincide," said Putin. Modi also praised Putin's support for the fight against international terrorism, which India accuses its neighbour and rival Pakistan of sponsoring. "Russia's clear stand on the need to combat terrorism mirrors our own," Modi said. The Rosneft-Essar deal will be the biggest foreign takeover in India, and Russia's largest outbound deal, according to Thomson Reuters data. It comes as Russia moves to reassert its role in global affairs and at a time when its own economy is stagnant, hit by Western sanctions and low oil prices. Under the deal, a group led by Rosneft will acquire 98 percent of Essar Oil, and with it a 400,000 barrels-per-day refinery and port at Vadinar for $12.9 billion, the two sides said. Russian state bank VTB said it would refinance $3.9 billion owed by the Essar Group. Rosneft would pay $3.5 billion and its partners, oil trader Trafigura and investment fund UCP the same amount for an equal joint stake. The refinery deal follows a string of upstream investments in Russia by Indian companies in recent months that, Modi said, were worth $5.5 billion. Also on display was Russia's nuclear prowess, with the second reactor of the Russian-built Kudankulam plant in Tamil Nadu hooked up to the grid and concrete being poured in a ceremony carried by a TV linkup to mark the start of work on the third and fourth reactors there. Putin said that Russia would be able to build a dozen nuclear reactors in India over the next 20 years to back Modi's growth strategy for Asia's third-largest economy, which continues to suffer chronic power shortages. The defence pacts will also deepen military ties between the two countries that dates back to the Soviet era, when India entirely depended on Moscow to equip its armed forces. The United States has since taken over as India's top arms supplier. Indian military officials have said the plan is for the joint venture to build at least 200 Kamov 226t helicopters required by the country's defence forces. Hindustan Aeronautics Ltd will be the local partner of Russian Helicopters and state arms exporter Rosoboronexport. The S-400 surface-to-air missiles would strengthen India's defences along its borders with China and Pakistan, Indian military officials have said. Also agreed were plans to build and supply stealth frigates for the Indian navy. Russia's Deputy Prime Minister Dmitry Rogozin, who is in charge of space and military industries, said two frigates could be built in India and two in Russia, RIA news agency reported. Rogozin said the ships may later be equipped with missiles manufacturered by BrahMos Aerospace, a venture co-owned by the Indian and Russian governments. BENAULIM, GOA: India and Russia have agreed to explore building the world's most expensive pipeline costing close to USD 25 billion to ferry natural gas from Siberia to the world's third biggest energy consuming nation. The pipeline is to connect Russian gas grid to India through a 4,500 km to 6,000 km pipeline, officials said. The shortest route will entail bringing the pipeline through Himalayas into Northern India, a route which poses several technical challenges. Alternately, the pipeline can come via Central Asian nations, Iran and Pakistan into Western India. However, the route will be expensive when compared to the long discussed but shorter and cheaper Iran-Pakistan-India pipeline. Tehran may suggest India take its gas through IPI rather than building such an expensive pipeline, they said. The third and the longest alternative is to lay a pipeline through China and Myanmar into North East India bypassing Bangladesh. According to preliminary cost estimate prepared by state-owned Engineers India Ltd, which yesterday signed an agreement with Russian gas monopoly Gazprom for studying the Russia-India pipeline, the longest route of 6,000 km may cost close to USD 25 billion. The cost of transporting gas may be USD 12 per million British thermal unit, according to EIL. The MoU signed in the presence of Prime Minister Narendra Modi and Russian President Vladimir Putin at the India-Russia Annual Summit on sidelines of the 8th BRICS Summit in Goa, also envisages roping in ONGC Videsh Ltd, gas utility GAIL India Ltd and Petronet LNG Ltd for the study. Sources said natural gas produced in East Siberian fields is to be pumped into Russian gas grid which would be connected to India through the cross-country pipeline network. While the cost of transporting gas via the long discussed IPI pipeline is less than USD 1 per mmBtu, the same for the Turkeministan-Afghanistan-Pakistan-India (TAPI) pipeline is around USD 2 per mmBtu. According to industry experts, a realistic transportation cost would be USD 4 per mmBtu for the Russia-India gas pipeline. This excludes the transit fee to be paid to nations through which the pipeline will pass. Russia is seeking to expand energy ties in Asia amid tensions with the West sparked by Moscow's annexation of Crimea in 2014. Indian companies have snapped up stakes in production assets in Siberian fields. The MoU is being seen as an attempt to strengthen ties between the world's largest oil producer and the world's fastest growing fuel consumer. NEW DELHI: Besides signing agreements on major defence deals at the India-Russia Annual Summit, which will strategically strengthen India’s military capabilities, India and Russia also agreed on improving the Brahmos supersonic cruise missile and the Fifth Generation Fighter Aircraft (FGFA). Russian President Vladimir Putin while speaking to the Russian media following the BRICS summit said, "We have also agreed to improve the Brahmos missile, which will be land, air and sea-launched. We will also work to increase its range," said Putin. He also said, "And we will work together on a fifth-generation aircraft. It has basically made its maiden flight, but there are some issues we need to work out. I am talking about the T-50 fighter plane." The FGFA is being developed by India and Russia. It is derived from the Russian Air Force Sukhoi PAK FA. The T-50 is the prototype. He added, "Our relations in this area can be described by our willingness to help our Indian friends acquire additional competences. We have organised the assembly and production of the latest T-90 tanks and Sukhoi Su-30 aircraft." At the summit held in Goa over the weekend, India and Russia signed agreements on building frigates in Russia and India, of Russia delivering the S-400 Triumf air defence systems and a joint Kamov Ka-226T helicopter manufacturing enterprise, a Make in India project. The S-400 Triumf contract is worth billions of dollars, according to Putin’s statement to the Russian media. "As for military technical cooperation, the quality of that cooperation is quite high, maybe even better than with many other countries. We do not just sell India high-tech modern weaponry, but we also have joint research projects," he said. Putin also said India is one of Russia’s priority and strategic partners. "I should not need to recall the time of the popular Hindi Rusi bhai-bhai slogan (Indians and Russians are brothers). In fact, little has changed since then, and our relations have grown stronger," he said. Fresh moves to tighten the India-Russia partnership indicate both nations’ resolve to work closely despite Moscow's occasional overtures to Pakistan. Russia's growing proximity to Beijing in recent years has created discomfort for Delhi. But being a traditional friend for decades, Russia's concern for India has always been strong. Pakistan's constant efforts to bring Russia and China together in its power corridor will not cause damage to India, as the latter figures prominently in the economic and strategic calculus of both these nations. On the sidelines of the ongoing Brazil, Russia, India, China and South Africa (Brics) summit in Goa, India and Russia signed a slew of defence, energy, power, ship-building and space deals towards strengthening the bilateral ties. The defence pacts that both the countries signed speak volumes since they come when India is at a crucial juncture of its fight against terror emerging from Pakistani soil. The four primary defence deals signed include: Developing a new version of the BrahMos missile, delivering Russia's most anti-missile defence systems called S-400 Triumpf, work-share agreement to make fifth generation fighter planes (FGFP) or perspective multi-role aircraft and finally, the production of Ka226T helicopters in India. The BrahMos deal will give India a miniature of the earlier ones already available in the country. This version will help India to reach out to the terror camps within a range of 300 kilometres. More importantly, it will have access to land, air and water. This will probably give a new dimension to India's counter-terror efforts. The S-400 Triumpf, which is Russia's most advanced air defence system, will help India restrict our hostile neighbours to operate within their air spaces. The agreement pertaining to the FGFP will enable India to get access to Russian technology for producing 100 such aircraft in India. Russia-based Rostec State Corporation is expected to set up joint production facilities in India for the Ka226T helicopters. Both the nations agreed to hold an annual military industrial conference which will allow stakeholders on both sides to institute and push for possible collaborations and will open up numerous fresh opportunities. The key defence deals signed between India and Russia once again buttress the enhanced bilateral cooperation. They highlight the important role Russia plays in India's defence research, development and cooperation. Russian President Vladimir Putin called India a “privileged strategic partner”. This is indeed true, regardless of India's growing proximity to America. Simultaneously, the growing bilateral cooperation in the field of energy means a lot for Indian public sector companies such as the Oil and Natural Gas Commission and the Indian Oil Corporation, which are already operating on a large scale in Russia. Besides, energy cooperation is something India is looking to tap on a large scale. Recognising the continued importance of Russia in our economic and strategic future, Prime Minister Narendra Modi referred to that country as “an old friend”, being “better than two new friends”. Both India and Russia, despite hiccups, are committed to sustaining the strong bonds they have shared over the decades — and this is just as well.